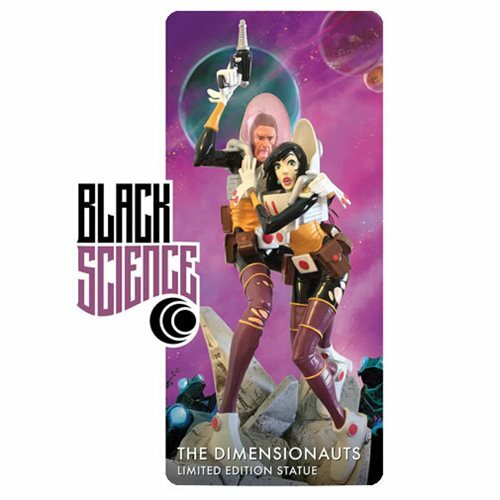 From the creative mind of comic book writer Rick Remender and artist Matteo Scalera comes the Black Science The Dimensionauts Statue! This limited edition statue features iconic characters from the sci-fi comic series sculpted and brought to life. Made from polystone resin, this stunning statue is limited to 500 pieces making it a must-have for any Black Science fan! Ages 13 and up.